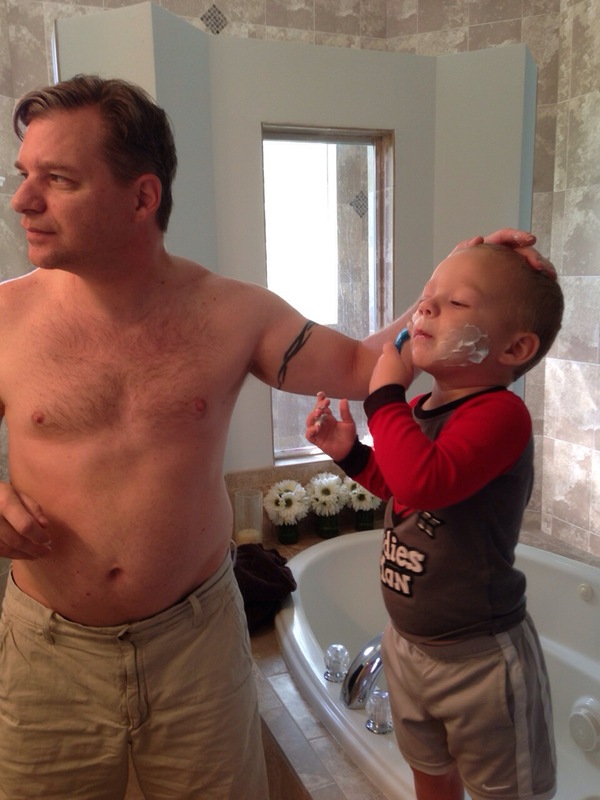 Every morning Timmy watches Tim shave and then Tim pretends to shave him. 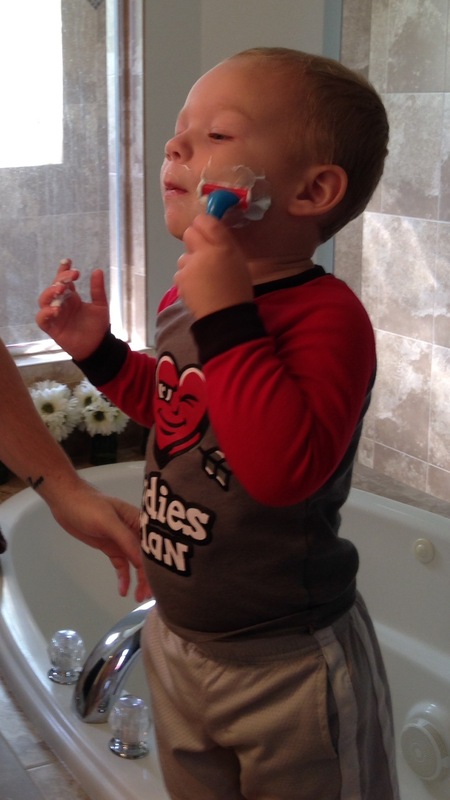 So I bought Timmy his own razor. It’s so cute. 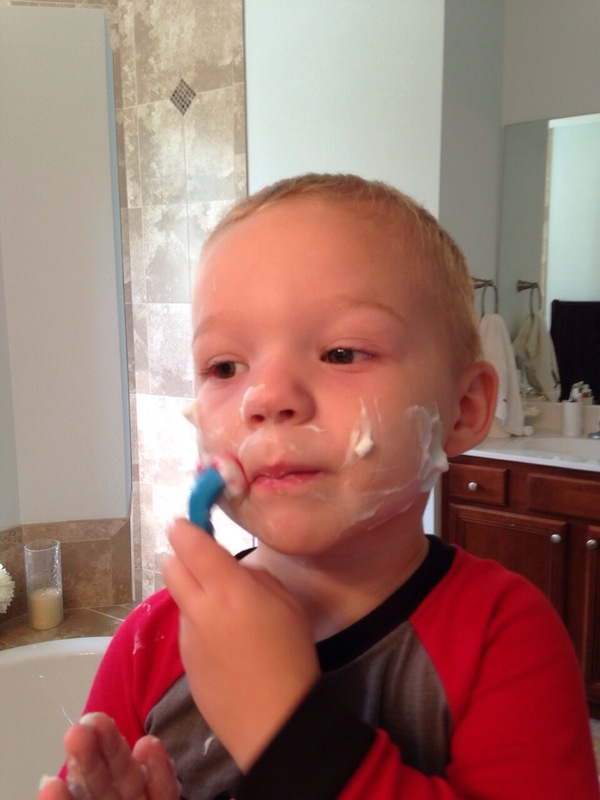 It came with shaving cream, a little mirror and a comb. 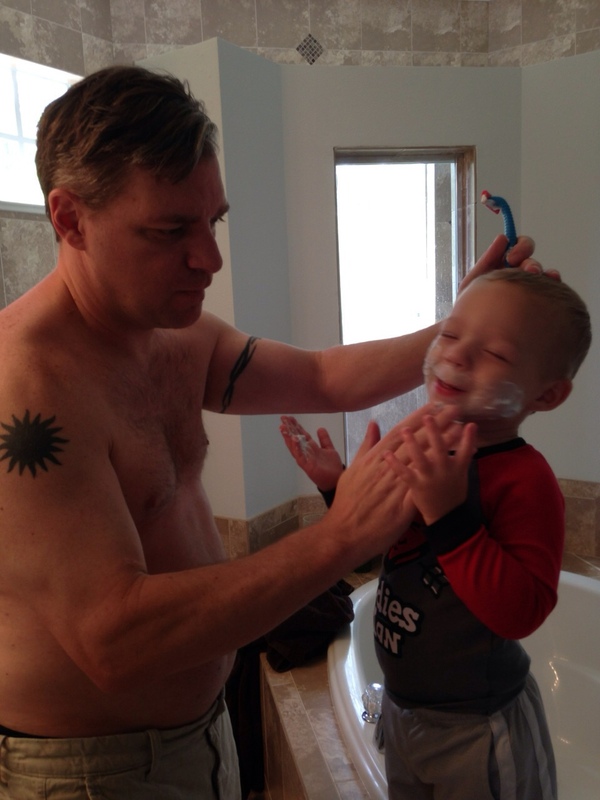 This morning Tim gave him his first shaving lesson and it was adorable.